I have made this recipe many, many times and each time I do - everyone really loves eating them. They are a bit fiddly to bring together but well worth it and excellent as finger food at a party. 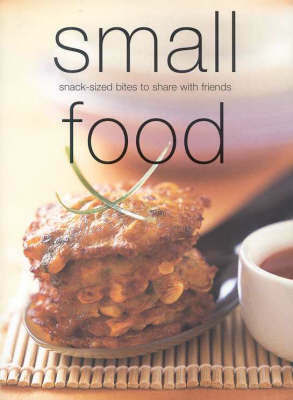 Small Food is fun finger food for sharing. This chunky compact recipe book invites the home cook to shake off the conventions of cutlery and invite their friends to mingle with a drink in one hand and a delicious morsel in the other. It shows how easy it can be to feed a crowd with bite-sized snacks and dips, whether it's an impromptu informal gathering or the most gorgeous of cocktail parties.